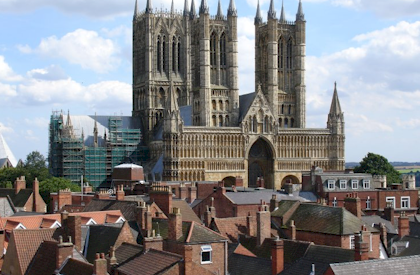 Lincoln is a cathedral city and the county town of Lincolnshire. The earliest origins of Lincoln can be traced to the remains of an Iron Age settlement of round wooden dwellings that have been dated to the 1st century BC. The city is a tourist centre and those who come do so to visit the numerous historic buildings including the cathedral, the castle, and the Medieval Bishop's Palace.